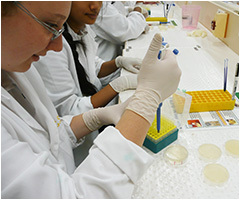 Science is a compulsory subject for all students from Year 7 to Year 10 at Canberra High School. It is an exciting program that has a strong focus on practical skill development. 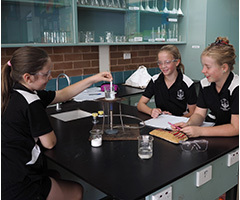 Year 7 and Year 8 students are placed into classes that are formed to cater for individual student ability levels. These ability groupings allow for extension work in the more advanced classes and additional assistance in classes that require a little extra support. All classes study the same curriculum during Year 7 and Year 8. This curriculum is aligned with the Australian Curriculum. 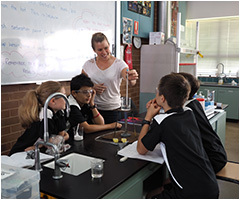 Year 9 and Year 10 students are placed in streamed classes that will study a differentiated curriculum which has been based on the Australian Curriculum. These classes will be grouped based on student capabilities. Students are placed into these classes on a performance basis and there is the option to move between levels at the end of each semester.